Infants get food from mother's breasts hence mother's breasts have a lot of importance and significance. Breasts have a unique place in the female body. Thus it's very important to take care of them. In Biovatica.com we have given complete Ayurveda view about breasts and how to take care of them. Breasts are not only the source of physical beauty and attraction from the view of physical beauty and body structure of women, but they are also the only source of nutritious, pure and healthy food for new-borns. For the unmarried (virgin) or married women, healthy and well-shaped breasts are considered necessary and attractive. Irregular lifestyle, wrong eating habits and regimen, carelessness towards the maintenance of the body and lack of physical activities/exercise leads to loose, sagging/hanging or enlarged breasts in even young women at their youth or prime. Due to this, they feel inferior and ashamed. They are always in search of the solutions that can make their breasts firm, tight and shapely. One such solution is use of ayurvedic remedy Shriparni oil. 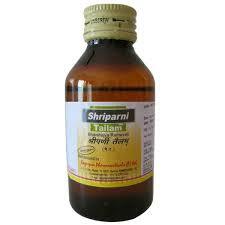 Ingredients of shriparni oil – solution of gambhaari ki chhal – 200 grams, gambhaari ki chhal – 800 grams, til oil – 800 ml. 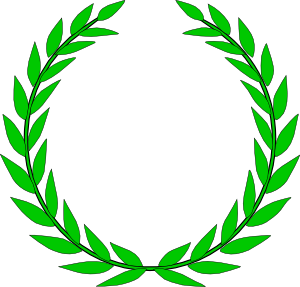 , wax – 15 gram. Preparation method of shriparni oil – boil first two ingredients in 1.5 litre of water. When only 1/4 th water (around 400 litres) is remained, put til oil in it and cook in low flame. When all water is burnt and only oil is left, take it off. Similarly cook the oil 3 times with gambhaari solution and chhal . After cooking third time put wax in it and then take it off. Filter it once it comes down to normal temperature. Uses and application of shriparni oil – coming soon. 1) Mother should stay away from mental stress, sorrow and worry. Due to the impact of sorrow, worry or disappointment, proper quantity of milk does not come in breasts; and in some cases, milk does not come at all. 2) Inclusion of nutrition rich and analeptic food in diet/meal is necessary for the mother after the childbirth. Regular eating of healthy food is necessary for the mother to regain the strength and agility of the body lost in the childbirth process. Keep above mentioned both things in mind and use the following Ayurveda home remedies. All of the following three remedies/methods are tested and you can choose any remedy and take advantage of it until desired results are achieved. 1) Prepare kheer of rice and milk. Put 10 grams grinded safed jeera (white cumin) in this kheer and cook for some time. Eating this kheer everyday increases the quantity of milk in breasts. 2) Putting 5 gram safed jeera (white cumin) in a glass of milk and drinking it every day increases the quantity of milk in the mother of infant. 3) Ingredients – safed jeera (white cumin) – 20 grams, chhoti hari ilaichi ke daane (seeds of small green cardamom) – 10 grams , kakdi ke beej aur kaddu ke beej (seeds of cucumber and pumpkin) – 20-20 each. Mix all ingredients and grind them thin to prepare a powder. Your Ayurveda home remedy for increasing breast milk quantity is ready. Now make 12 equal doses of this powder. Now, separately, put 1 spoonful of misri in a glass of water. Take one dose of the prepared powder and drink this glass of milk immediately after the dose. 4) Eating 5 grams Shatavar powder followed by a glass of milk with misri increases the quantity of milk in breasts. कई युवतियों के स्तनों में पर्याप्त मात्रा में दूध नहीं उतरता जिससे शिशु भूखा रह जाता है. दूध की कमी होने के कारणों में युवती के शरीर की कमज़ोरी, सदा शोक और चिंता से ग्रस्त रहना या किसी तरह का मानसिक आघात लगना आदि प्रमुख हैं. इस व्याधि को दूर करने के लिए निम्नलिखित उपाय करना चाहिए. १) चावल और थोड़ा सा सफ़ेद जीरा पिसा हुआ, दूध में डाल कर पकाएं. कुछ दिनों तक इसे सुबह शाम खाने से स्तनों में दूध बढ़ जाता है . २) सुबह शाम एक गिलास दूध में सफ़ेद जीरा पिसा हुआ और पीसी हुई मिश्री - १०-१० ग्राम डाल कर पीने से स्तनों में दूध बढ़ जाता है. आयुर्वेद के अनुसार यदि बिना दूध वाली स्त्री भी दूध में जीरा डाल कर पिए तो स्तनों में दूध आने लगता है. ३)शतावर का महीन बारीक़ चूर्ण करके रख लें. सुबह शाम १० ग्राम चूर्ण फांक कर दूध पीने और दूध दलिया खाने से स्तनों में दूधकी वृद्धि होती है. स्तनों में दूध न आने की स्थिति को दूर करने के लिए ऊपर अंकित कोई सा भी एक प्रयोग २-३ सप्ताह तक करना चाहिए. साथ ही मानसिक रूप से संतुष्ट, प्रसन्न, निश्चिन्त तथा सहज भाव से रहना चाहिए.